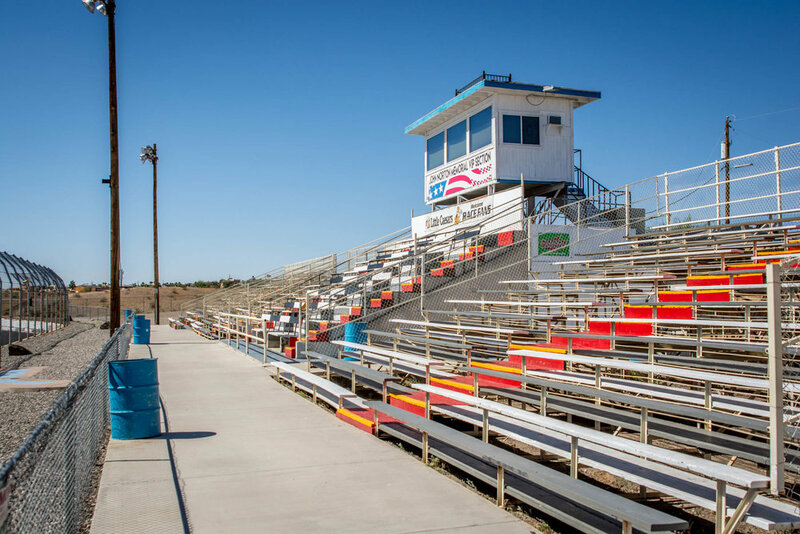 Welcome to Havasu 95 Speedway! * The Red Line dictates the separation between our spectator areas and pit areas. You must purchase a pit pass to be allowed into the pit area. We have 9 degrees of banking in the corners, the bottom is flat. The Outlaw Karts race on a 1/16th mile clay oval in our infield. Our 1/4 mile oval is primarily a two-grooved racetrack. The Outlaw Kart track has no banking, it is flat. If grandstands aren't your thing, we have a section dedicated to lawn chairs located in Turn One. It's BYOC - Bring your own chair. This is our Beer Garden and Souvenir Stand. 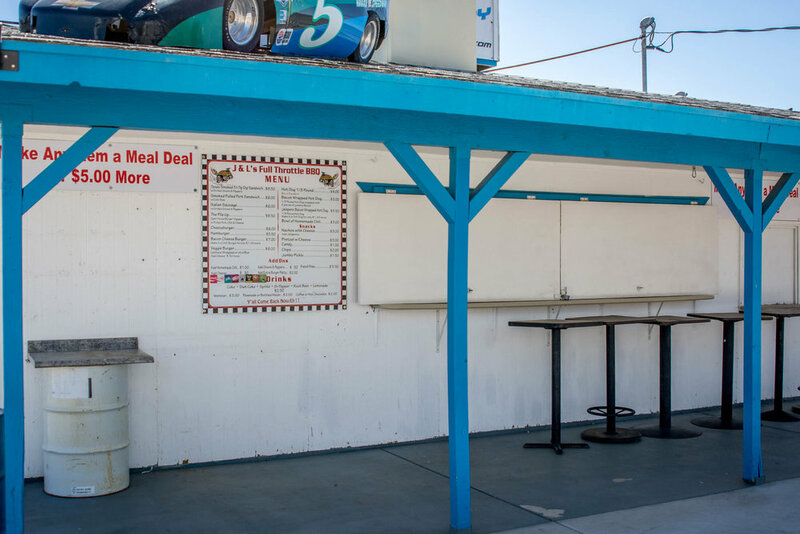 Our Beer Garden has numerous beers on tap; the Souvenir Stand sells Speedway gear and 50/50 raffle tickets. Our spectator concession stand, operated by J&L Full Throttle BBQ. Our South Side bathrooms have changing tables in the womens' side. Our bathrooms are cleaned regulary and are brightly lit. We have a maximum capacity of 2,500+. Our stands provide the best view of the racing and of our gorgeous mountains and lake. Down on the end is where you can grab your freshly popped popcorn or freshly spun cotton candy, courtesy of our concessionaires, J&L Full Throttle BBQ. Our pit area concession stand, operated by J&L Full Throttle BBQ. Our North Side bathrooms also have changing tables in the womens' side, and have a "Bonus Bar" attached that we open on busy nights.